Summary: In addition Roadtec is introducing the new E-Series of its Shuttle Buggy MTV. Amongst the improvements are improved conveyor wear resistance and dual operator stations, which can slide past the outer edge of the main frame, improving visibility. In addition Roadtec is introducing the new E-Series of its Shuttle Buggy MTV. Amongst the improvements are improved conveyor wear resistance and dual operator stations, which can slide past the outer edge of the main frame, improving visibility. Mix storage has been improved with the addition of indicators, which show how much material remains in the hopper. An optional, adjustable width front dump hopper is offered to accommodate different widths asphalt mix haul trucks. Power comes from a Caterpillar diesel rated at 224kW and which meets the Tier 4 Interim/Stage IIIB emissions legislation. The new SAP90EC paver from Sany represents a major step ahead for the firm, with drive from a new generation Deutz diesel that features low working noise, electronic engine management, automatic power control and an economy mode that can cut fuel consumption by up to 15%. 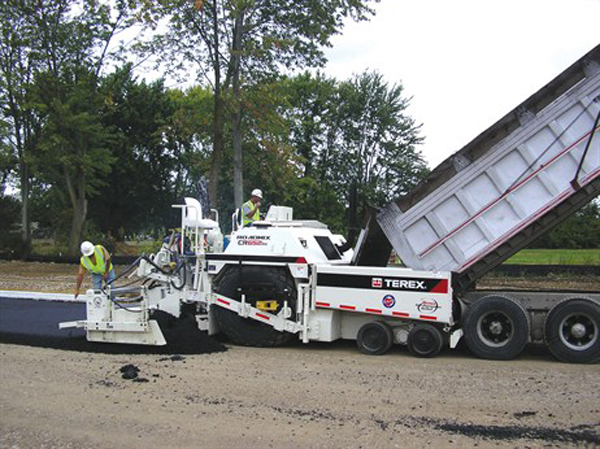 Effective cooling allows the paver to operate in ambient temperatures of up to 50°C. The machine has a large 8.5m3 hopper and large conveyors, which helps optimise material delivery to the screed, while a sophisticated hydraulic system is said to maximise operating efficiency. The adjustable augers feature a large pitch and large diameter blades, which is said to ensure good material distribution and to prevent material segregation after paving. This 24tonne paver offers paving widths from 3-9m and its screed has a single tamper bar as well as vibration, while the machine is also said to deliver a smooth finish. Sumitomo's new asphalt screed is said to offer wider extension than other designs on the market at present, increasing versatility for the contractor. The firm says that this screed can be extended to 2.5 times its minimum width, compared with twice the width for other existing models available.